Welcome to Cardiff By The Sea! Explore this beachside coastal San Diego Community of Cardiff By The Sea, a sub neighborhood of Encinitas. In Cardiff you will find coastal hills dotted with custom beach homes, a quaint downtown, and waves paired with sprawling beaches for everyone to enjoy. 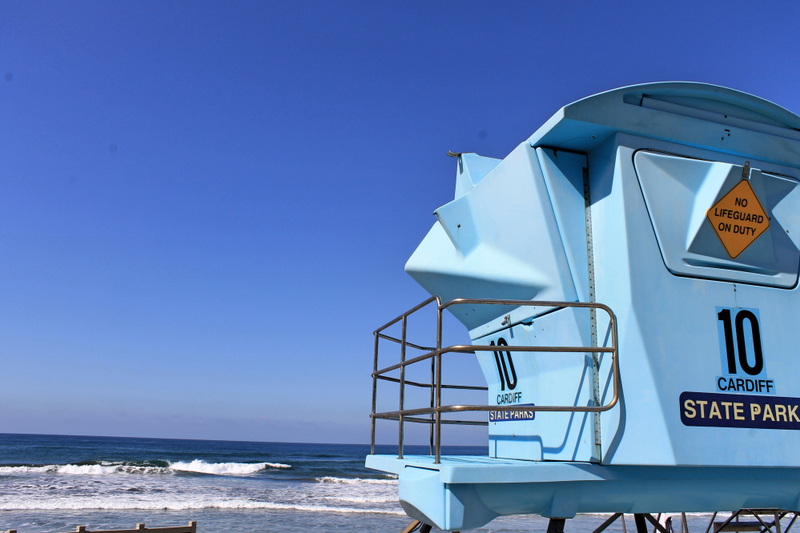 The sub community of Encinitas, Cardiff By The Sea, is home to professional surfers as well as doctors, lawyers, and those that love coastal living. Cardiff By The Sea offers beachside living in all shapes and sizes. The homes in Cardiff vary from investment properties for purchase or your very own unobstructed ocean view dream home. Cardiff offers award winning schools and a quaint downtown. It sits close to downtown Encinitas and creates a close-knit community of like-minded individuals. Eclectic, unique, and sweeping ocean views are what come to mind when thinking of homes in Cardiff By The Sea. Because Cardiff is divided by the 5 freeway to the East, Manchester Blvd to the South, the Hwy 101 to the West, and Santa Fe Dr. to the North, you get a quaint little town of about 12,000 residents which has its own zip code of 92007, completely separate from its parent city Encinitas. Most homes are stacked on the hills overlooking the ocean bluffs. The average home price in Cardiff varies greatly but many homes run in the 1- 3 million dollar price range. Ocean view and larger homes in Cardiff will run at the higher end. You can find affordable condos, town homes, and other multi-family homes in Cardiff By The Sea which offer a more affordable option compared to detached single family homes in this beachside town. The Neighborhoods in Cardiff By The Sea generally flow into one another – where Manchester meets Birmingham, you find the Downtown and ocean view communities. J Frank Cullen developed what was once farmland into Cardiff By The Sea homes and neighborhoods. Read more on the history of Cardiff here. The Composers’ District of Cardiff is set on the North West end of the Cardiff By The Sea and includes streets like Mozart, Chopin, Verdi, and Listz. The architecture is varied and interesting with ultra modern designs, classic beach cottages, small bungalows, and California Spanish style haciendas. You will find varied beach living of all shapes and sizes in Cardiff by the Sea. Your dream beach home is waiting! If you like long walks on the beach, having Rob Machado as a neighbor, endless waves breaking on a reef, local small businesses, and tasty restaurants – then you won’t run out of things to do in Cardiff By The Sea. From the surf contests held at the infamous Cardiff Reef, to the smell of “Cardiff Crack” (otherwise known as the best prime rib bbq) cooking outside of Seaside Market, the quaint town of Cardiff By The Sea will keep you entertained with breathtaking ocean views and that small beach town lifestyle that captures life in a California dream. Try camping at San Elijo State Beach, hiking the San Elijo Lagoon, or run past the Cardiff Kook on the Hwy 101 above the ocean North into Encinitas. You won’t be bored and you will love living in Cardiff By The Sea. If you have a hankering for some tasty breakfast, head over to Pipes Cafe and get an omelet to fill you up along with some zingy coffee. And all of you non-morning people, don’t worry! Breakfast is served all day. If a healthy smoothie is more you thing, try the delicious Sambazon Cafe for the best acai in Cardiff By The Sea. Ki’s Restaurant and Pacific Coast Grill at Cardiff Reef offer fine coastal dining right on or across from the beach. If you are looking for a bar or place to grab a drink with some friends, Cardiff has numerous options. Try the local “dive bar” tucked away behind Patagonia called the “Shanty Cocktail Lounge”, or for a glass of wine try Wine Steals complete with an ocean view and trivia nights. The Lost Abbey Cardiff tasting room just opened and is properly named “The Confessional”. Enjoy oceans views and tasty grog in Cardiff. If you need to find fresh produce and amazing prepped foods, look no further than Cardiff’s Seaside Market, a gourmet grocery market. You will find a huge selection of all natural and gluten free groceries to fill your kitchen with only the good stuff. If you are looking for a fresh surfboard in any shape, style, or color… pop on over to Iron Cross Surfboards or the Patagonia Cardiff shop for sustainable clothes, wetsuits, and surfboards. The Rancho Coastal Humane Society Thrift Shop offers tons of vintage and thrifty shopping in Cardiff and proceeds go to helping Fido find a forever home so you can feel good about your purchase. The Cardiff Towne Center offers tons of shops and small offices. Here you will find Fowler’s Boutique stocked with all of the latest in men and women’s surf lifestyle apparel. A great place to shop and support local business! Starting from South Cardiff, you will find Seaside Reef, a popular surf spot for professionals, talented groms, and local Solana Beach and Cardiff surfers. This beach is known as “South Cardiff State Beach” but more commonly called Seaside by Cardiff residents. Enjoy the beautiful waves and sandy beaches with your dog (they are allowed on this beach) and family (fortunately, they are also allowed on the beach too). Expanding North from Seaside about a mile you will find the official Cardiff Beach, with a State parking lot, lots of sand, and fun waves that break along the rock reef below the water. Dogs are allowed on leash here up to the San Elijo Lagoon river mouth to the North. To the North of Cardiff State Beach on the other side of the San Elijo Lagoon river mouth opening, you will find San Elijo State Beach. There is camping year round at this epic camp spot but reserve early because spots fill up quick. Little surf spots dot the beach with quirky names such as Suckouts, turtles, and pipes. Just to the North of the camping sites there is a day use parking lot with additional beach access – a great little beach for family and fun waves. Further up the beach Cardiff’s blurred lines between Encinitas cross at Swami’s Beach. Swami’s is a reef point break with fun longboardable rights and on bigger days tons of fun for short boarding. You will find people practicing yoga and exercising on the beach. Don’t bring your dog on this strip of beach because they are not allowed. Taking in the view and enjoying this world class beach is something residents in Cardiff appreciate every day. With a small grassy beach park in the upper parking lot complete with an iconic tiki head standing several feet high. At the entrance to the stairs down to Swami’s you will find additional icons that resemble the neighbor Swami’s Self Realization Fellowship, which the beach is named after. Take the five flights of stairs down to the beautiful beach and take in the serene and private cove that this beach offers. When you purchase a home in Encinitas, it is more about “which community” and somewhat about the “what house”. Cardiff by the Sea offers beautiful homes and beside living within Encinitas. You will love living here and finding a home for sale in this community is why we are here to help. Check out listings on this community page and contact us for a showing. Become a Cardiff Kook and see what it is all about.